Pen & Paper techniques for getting from research to design. 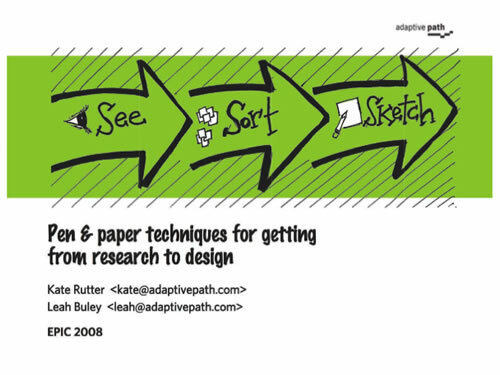 A presentation by Kate Rutter and Leah Buley of Adaptive Path given at EPIC 2008 in Copenhagen. I’m completely amazed by those who can illustrate, and even more so when they can build it into a presentation like this. Would have enjoyed to see this in person.